supporters during the month of December 2018 and January 2019. Their contribution is invaluable to the day-to-day operations at the centre. The Platter Project recently launched a range of beautiful prints for sale at a super affordable price, and the Hoedspruit Endangered Species Centre has been selected as one of the lucky beneficiaries. A BIG thank you to Di and The Platter Project family for your generosity and ongoing support towards the HESC. Special thanks to everyone that has supported this wonderful cause. You can still purchase the prints for R149 each or 3 for R400. Email theplatterproject@gmail.com to order a print. Thank you to Bob Martin for donating 280kg’s of dog food for the Anti-poaching canines at HESC. We are extremely grateful for your contribution. JMB Hoedspruit generously donated two 5000L Jo Jo water tanks and a secure water tank stand. Endangered Species Centre. The function was held at the Wildebeest Lapa Restaurant and Linri, our head curator, was awarded the Employee of the Year prize. GN Total HR Solutions sponsored a week’s getaway to Linri for her achievement. 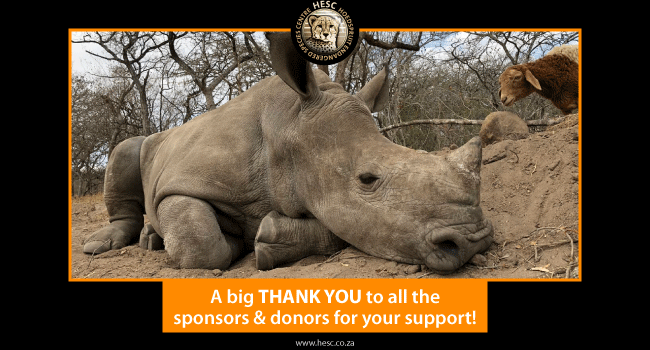 Special thanks to Gielie and Melanie Nienaber for your constant support towards the staff at HESC and the animals in our care. We are very grateful. We recently shared a post about a children’s book written by Tatiana and Marcelo Ferreira. 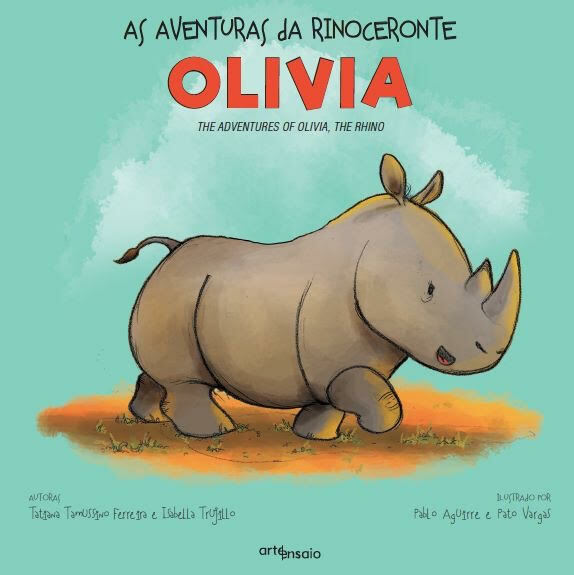 The book is dedicated to Olivia, one of the orphaned rhinos in our care, and was written to raise awareness about the seriousness of rhino poaching. Tatiana and Marcelo generously donated 300 copies of the book towards our community outreach programme and had them delivered from Brazil. They have already commissioned a book to be published entirely in English and to be printed in South Africa, which will be available to buy soon. We are so very grateful for the support you have given Olivia, and to HESC. Thank you! courier services. Your continuous support is invaluable. the items included stationery, art materials, and medical supplies. These donated items have an enormous impact on the centre’s ability to contribute towards the needs of surrounding communities, which are part of our very own community involvement initiatives. Thank you for your generosity! the Woolworths MySchool MyPlanet Programme. Every swipe makes a difference!